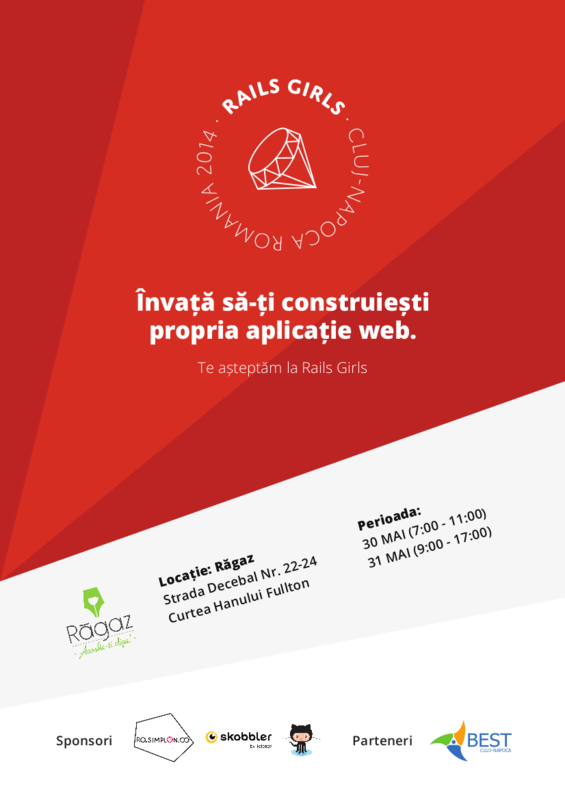 We are bringing Rails Girls in Romania. One day workshops will take place in Bucharest, Cluj and Timisoara. You still have time to apply for Cluj and Timisoara so go!